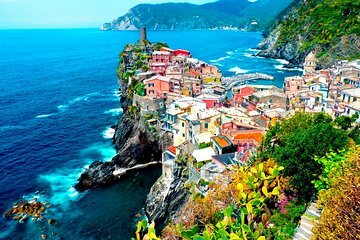 Discover the sights, sounds, and tastes of the colorful villages of Cinque Terre on this 4-hour walking tour. Follow your guide around one of the UNESCO-listed villages and immerse yourself in the local fishing culture and traditions. Stop at small shops and cafes to sample treats and drinks from the Liguria region, such as focaccia, and admire the beautiful coastal scenery of the Italian Riviera.